People can develop an addiction at almost any age. However, some people develop problems related to misuse of a substance in their early 20s. Others start using an addictive substance and quickly move from misuse of an addictive substance to developing a substance use disorder. Therefore, many addiction rehab centers help people from multiple age groups especially considering a person can develop an addiction at any age. If you have a problem with alcohol or drugs, it is important to reach out for help, because many people can avoid addiction-related consequences by seeking help early versus allowing problems related to alcohol or drugs to build into more advanced crisis situations. Addiction rehab centers are designed to meet people in different places in the addiction process. Most addiction rehab centers utilize a screening process, assessment process as well as diagnostic criteria to help make sure a person needs treatment. In addition to meeting the criteria for substance use disorder, an addiction rehab center will also recommend the level of care that a person will need to start with to treat their addiction. Each level of care that is offered at an addiction rehab center is designed to help people enter treatment for a substance use disorder and prepare the individual for long-term recovery. Helping people become sober from alcohol or drugs is one primary purpose of an addiction rehab program. Regardless of the setting or level of care, the goal of treatment is to provide a safe and humane treatment experience that will motivate a person to remain clean and sober from addictive substances. People that are presenting for treatment services at an addiction rehab are provided a unique opportunity to deal with addiction problems and discover solutions to their addiction. The most common types of addiction rehab centers are medical detoxification programs, inpatient treatment programs, residential treatment programs, partial hospitalization programs, and intensive outpatient treatment programs. Each of these types of addiction rehab centers is designed to perform a function with helping a person deal with an addiction to a chemical substance. Some people with severe addictions may need all the above treatment programs to learn to maintain abstinence from addictive substances. How do addiction rehab programs determine which level of care you need? The determination for a level of care is based on a person’s overall needs. An addiction rehab center will utilize a process called a substance use disorder screening. The screening process is helpful and allows a rehab program to identify individuals with possible substance misuse or substance use problems. The screening process will help the individual and addiction rehab program determine if they are appropriate and eligible for the desired addiction rehab center. Once this screening process is completed, then the addiction rehab program will perform an assessment which will help guide the individual into the right level of care. Medical detoxification is critical to people that have a history of experiencing withdrawal symptoms when they attempt to become clean and sober from addictive substances. However, some people that have never attempted to stop drinking alcohol or drugs may need medical detoxification. It is important to discuss with a medical detoxification program your situation before attempting to stop using an addictive substance. In many cases attempting to stop using a substance can be dangerous if you stop abruptly. We recommend allowing a licensed medical detox facility to help you properly detoxify from addictive substances for safety reasons. 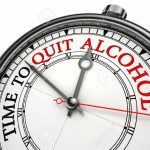 If for any reason you think you may have a problem with an addiction to alcohol or drugs, then contact an addiction rehab center and discuss what is going on with you related to your alcohol or drug usage. Often the addiction rehab center can guide and direct you in the proper steps that will help you deal with your addiction problems. Summer Sky Treatment Center makes available a 24-hour addiction treatment support line that you can call to discuss addiction-related problems and concerns. 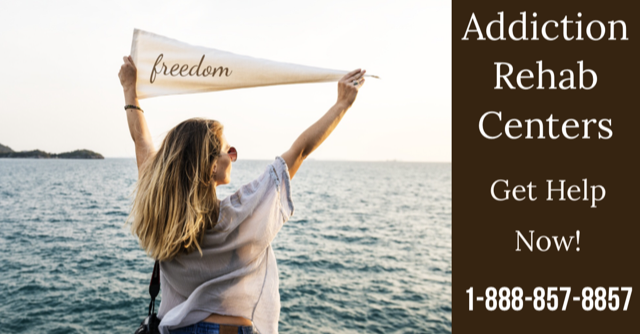 The addiction treatment support team is available to discuss treatment options and, in many cases, can help you get approved for immediate entry into one of the Summer Sky Rehab Programs. 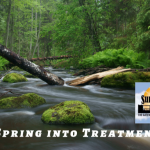 Summer Sky Treatment Center is a recognized state and national addiction treatment center that offers a 24-hour 7-days a week addiction support line for people interested in learning about addiction treatment and those that need immediate assistance to attend an addiction rehab program. You can reach Summer Sky at 1-888-857-8857 to discuss treatment options. Why Does a Person Need a Medical Detox Program? Many addictive substances are dangerous to stop abruptly without medical attention. Therefore, utilizing the help of a medical detox program to safely help a person eliminate the addictive chemicals from the body is the best approach to help individuals become substance free. A medical detox program is a needed service for people with moderate to severe substance use disorders. A person will need to be stabilized physically and psychologically during medical detox services so that the next level of treatment can be effective. Detox alone is not treatment, but detox is a critical component of the treatment process. Without medical detox often a person can not participate in most treatment modalities. It is advisable not to attempt to stop a physically addictive substance without the help of a medical detox program. The medical attention that is provided at a medical detox program will help a person become abstinent from addictive substances. The physical withdrawal syndrome will be interrupted by medical detox professionals with advanced medical procedures. Medical Detoxification is one of the best addiction rehab services for people that need immediate help from an addictive substance. If you are noticing that when you stop using an addictive substance that you begin to experience withdrawal symptoms, then contact the Summer Sky Detox Now™ Program to discuss medical detox services. Addiction rehab centers utilize a screening process to help the individual determine if a possible substance is being misused or if a person has a potential substance-related disorder. The screening process does not exactly identify what kind of problem a person might have or how serious it might be; screening simply determines whether a problem exists or whether further assessment is needed. Most addiction rehab centers will help a person determine if they are appropriate and eligible to receive services at their addiction rehab center during the screening process. The screening process will help to determine through an evaluation of persons psychological, social and physiological signs and symptoms of alcohol or drug usage to determine if the person is appropriate for admission into their program. In a Texas addiction rehab center, an individual will be screened to make sure the person is eligible for admission into that specific program. Normally if a substance-related disorder is indicated, then further assessments will be needed to establish the severity of the addiction. Summer Sky Treatment Center operates a facility that offers all levels of care in Stephenville, Texas with a separate intensive outpatient treatment program located in the Dallas, Texas area. The main Stephenville, Texas campus is in a regional area of Texas that is easy to access from all parts of the State of Texas. People living in Fort Worth, Dallas, Abilene, Waco, Austin, San Antonio, and Houston, Texas frequently attend the facility for substance use disorder treatment. Summer Sky is licensed by The Texas Department of State Health Services and accredited by The Joint Commission. You can contact the Summer Sky Admissions Department at 1-888-857-8857.